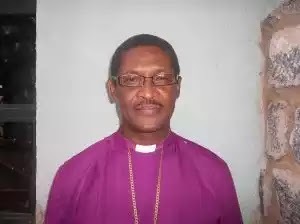 The Gombe Diocese of the Anglican Communion has called on the Federal Government to take the issue of the enhancement of the welfare packages of medical doctors as a matter of national importance. The Diocese, in a communiqué issued at the end of its Sixth Synod, which held at the Christ Anglican Church Bogo in Gombe, called on the President Muhammadu Buhari-led Federal Government to embark on a holistic reformation of the health sector by providing modern medical equipment as a way of reducing medical tourism of Nigerians to foreign countries. The communiqué, made available to journalists, on Tuesday, and signed by the Bishop of the Diocese, Rt. Rev. Henry C. Ndukuba, also said if such steps were taken, it would go a long way to reduce industrial actions and brain drain that has bedeviled the health sector of the country. The communiqué also called on the Federal Government to entrench true federalism by reflecting federal character in appointments and revenue allocation to different tiers of governments. It called for the restructuring of the country to ensure equity, unity and progress to assuage the incessant calls for secession and militancy in almost all parts of the country. On the current strike action embarked upon by the Academic Staff Union of Universities (ASUU), it said the federal Government should quickly resolve all the lingering issues pertaining to the strike to avoid jeopardizing the future of Nigerian students. It also spoke on the increasing calls for the upward review of minimum wage by workers saying, “the minimum wage of eighteen thousand naira is no longer realistic in the face of present economic situation in the country”, with the Communion calling on the Federal Government to constitute a committee for the purpose of upward review of the minimum wage.